This post is sponsored by Philadelphia Cream Cheese. 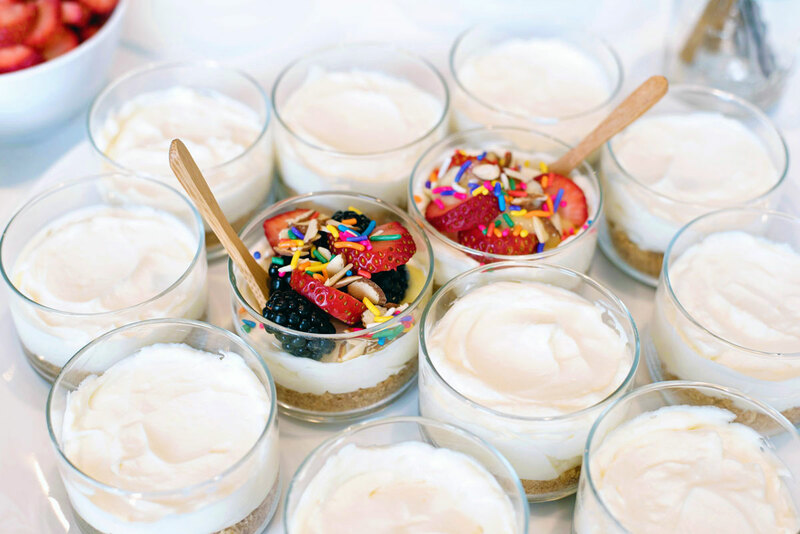 A recipe for the BEST No-Bake Mini Cheesecakes with a colorful dessert party bar. They are an easy but impressive dessert for your next special occasion. You guys, I have cracked the code on easy entertaining. 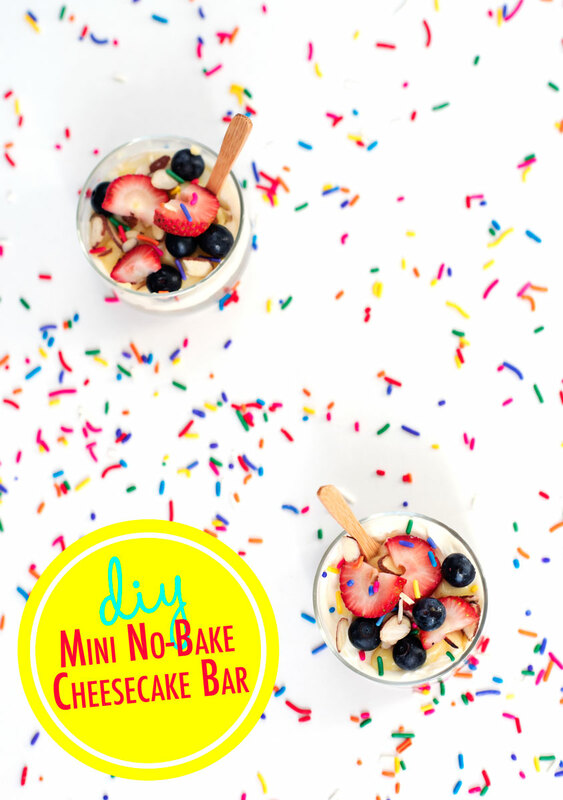 This mini no-bake cheesecake dessert bar will allow you to fulfill all of your Pinterest party fantasies. 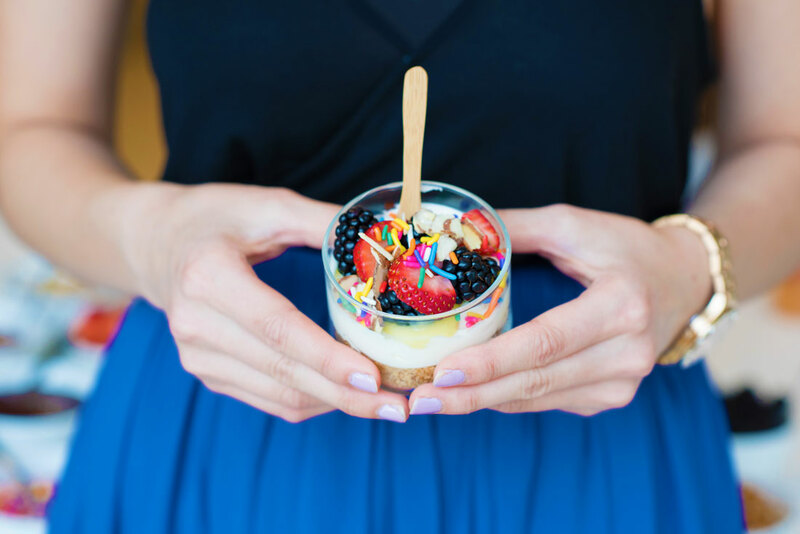 Setting up a dessert bar literally takes five extra minutes – no-bake and no-fail. Just toss a bunch of toppings into small bowls and you have a party. A colorful, photo-worthy, instantly memorable party at that. I was inspired to make these recently for my friend Ally’s birthday. Needless to say, they were a huge hit. 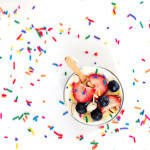 The toppings themselves are so colorful, I didn’t even decorate the dessert table, which also saved time. No cooking all day; no fancy displays. I just whipped them up the night before and they were ready to go for the party. 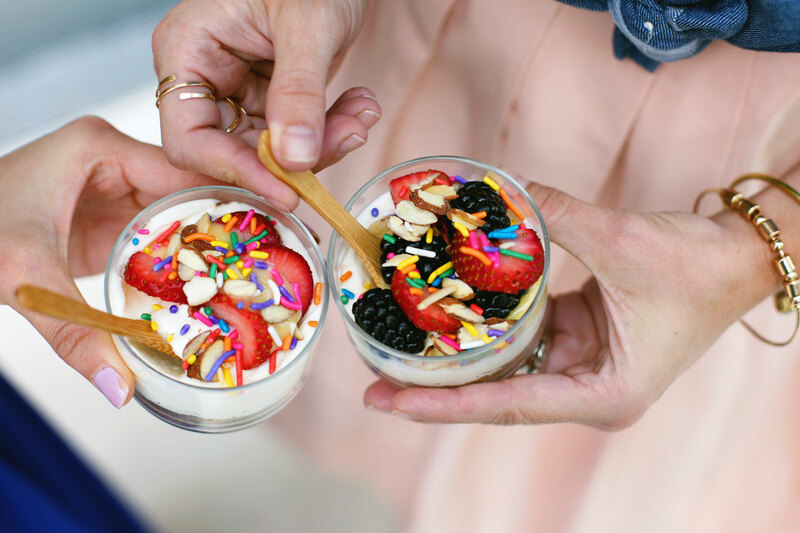 This is no-bake cheesecake taken to the next level, in a cute mini form with colorful toppings. This version is almost as thick as its New York cousin, but skips the whole bake at a million degrees and overheat your kitchen step. I really can’t explain the magic. I guess you’ll just have to try them for yourself! Thanks so much for reading A Side of Sweet! For more Sweet in your life, you can find me on Instagram, Pinterest, Facebook, YouTube, Bloglovin‘, Snapchat (@asideofsweet), or Twitter. You can also subscribe to receive a weekly email with new posts and random musings from me. 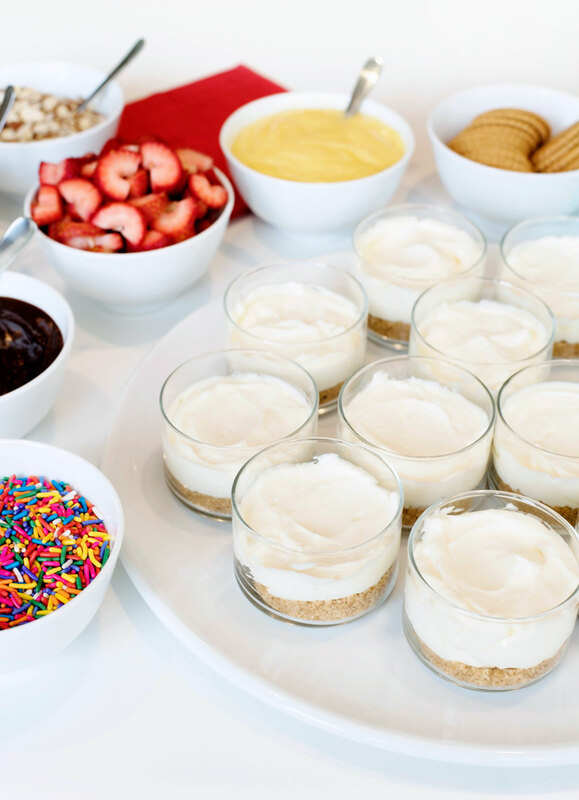 A recipe for the BEST No-Bake Mini Cheesecakes with a colorful dessert party bar. They are an easy but impressive dessert for your next special occasion. Combine the crushed graham crackers and brown sugar in a medium bowl, then stir in melted butter. Press mixture into the bottom of your approximately 6 ounce serving dishes. Place in fridge to set for at least 30 minutes. In the bowl of a stand mixer, beat the cream cheese and lemon juice together on medium until no lumps remain. Add heavy cream and beat until thick, starting on low and increasing speed to medium, about 2-3 minutes. Scrape bowl, add sugar and beat on medium high until stiff. Pour mixture over chilled crust, and use a spoon to level. Chill at least four hours, up to overnight. These are really cute, definitely a fun idea for a get together! Thanks for posting! 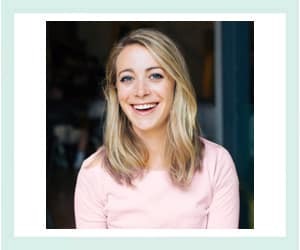 Thanks Krysten – you should definitely try them! Fresh lemon juice or bottle? Also, can I use a hand mixer? Either is fine! A hand mixer is also fine. Hi there! Will the crust get to hard if it’s been there overnight in the fridge or for a long time? It won’t be too hard! How many days early can I make this? I want to prep ahead of time as much as possible without it spoiling. 2 days in advance would be fine, 3 I think would be pushing it. I put them all in a large sealed tupperware container to keep them airtight. Great thank you! I have to make 48 of these so let’s see how it goes!